Billionaire real estate developer and businessman Donald Trump continues to surge ahead in his quest for the Republican nomination for president, thrice winning first place in contests in New Hampshire, South Carolina and as of Wednesday morning, Nevada. Love him or hate him, it doesn’t look like Trump is going away, a surprise seemingly to many establishment GOP leaders but not to The Donald himself. Much has been made about The Apprentice star’s electoral success, but you don’t have to look much further than his mouth to understand just how one of the most underestimated presidential candidates in history has now clenched a chance at an actual nomination for president. Ever notice how Donald Trump never seems to have a critical thing to say when it comes to his performance, or himself personally? He claims to make the best deals. He says he will be the greatest jobs president that ever lived. He undoubtedly believes he will make America great again. There’s a good reason to explain Trump’s rise, and it has a lot to do with mindset and the law of attraction. Like a divining rod, your words and your thoughts possess the ability to bring your life to the mountaintop (whatever that means for you). In the Bible, one scripture in Proverbs talks about the power of life and death being centered in the tongue. Jesus Christ himself said faith (through believing, i.e., your thought life) would allow your to move mountains and to force trees to wither and die at your command. Other faiths and beliefs draw similar attention to this one incredible truth: Your mindset acts as a steering wheel and a compass for your life. So, when Donald Trump speaks, he is casting into the universe exactly where he intends to land. So far, he’s manifesting everything he is projecting. Not surprisingly, Trump very likely learned all of this from his childhood pastor. Dr. Norman Vincent Peale was an esteemed man of the cloth in New York whose congregation included the young Donald, and his family. Peale was also the best-selling author of the 1952 classic, “The Power of Positive Thinking,” which illustrates the law of attraction at work. At Marble Collegiate Church, Peale instilled the power of self-confidence into his congregants. But, he also taught Trump something that any and all entrepreneurs cannot take for granted, and that is mindset. When you believe, you begin to receive. When you project a positive vision, you can expect victory ahead. It’s the same great message that you’ve heard from real estate investors and entrepreneurs like Lance Edwards (read more of his mindset articles here), Loral Langemeier, and Ron LeGrand. I have watched the law of attraction at work in my own life time and time again. When you control your mindset, you can control your destiny. Brandon De Hoyos is a producer for the Disney-ABC Television Group. 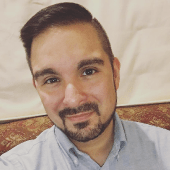 His work has been featured regularly in Deals & Dollars Weekly, in addition to publications and productions by The New York Times Co., Interactive One, Radio One, Time Warner Publications, Teen People, Disney Adventures, and ASP Westward.